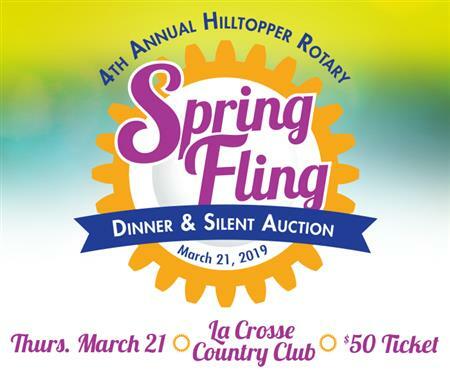 Join us at the Fourth Annual Hilltopper Rotary Spring Fling on Thursday, March 21, 2019 at 5:30pm for a delicious dinner, bucket raffle, silent auction, socializing, the chance to win $1,000, and more! Money raised from the Spring Fling will go to help fund Club projects and the Onalaska Sculpture at the Great River Landing. Other dietary needs can also be accommodated such as gluten free. Please e-mail HilltopperRotary@outlook.com for the vegetarian dinner option, or if you have any special dietary requirements. If you would like to make a donation please use the button below. The Onalaska Sculpture will be a piece of public art at the new Great River Landing Park. Local artist Michael Martino created this fabulous design of cast bronze and cut glass. During the day, the glass will reflect on the white base of the sculpture with sparkles of light! At night, the sculpture will be lit to enhance the beauty of the piece. The bronze "O" will be embossed on the outside with wildlife for all to see, and the inside will have a quote that will be about our great city. The sculpture will be visable from both north and south as you drive down the Great River Road in Onalaska. 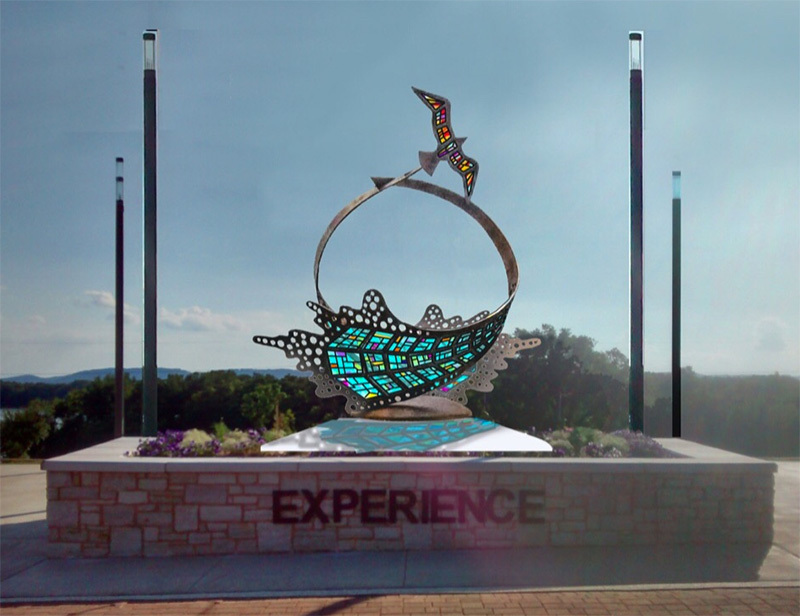 As you head west on Main Street this sculpture will enhance and focus you on our beautiful view - Western Wisconsin's finest! This will be the first true piece of public art to call Onalaska home! It will be a joy for all to see, a photo op for tourists and special events, and enhance the city of Onalaska as a whole.